Kiwi fruit, those fuzzy brown globes you find in the grocery store, are filled with delicious green flesh and edible black seeds. Not sure how to cut kiwi? Learn today and start enjoying this tasty fruit. You’ve seen them before. Those fuzzy brown globes in the produce department or maybe the farmer’s market. You know they’re kiwi, but they’re a little intimidating, aren’t they? I mean. How do you cut them? How do you choose the right ones to buy? How do you serve them? Let’s demystify the kiwi, shall we. Kiwi is a funny fruit, with bright green flesh and edible black seeds hiding under a fuzzy brown exterior. You might think what the what? But the fruit is absolutely delicious and a good source of vitamin C. Although native to China where it’s known as the Chinese gooseberry, the kiwi fruit gets its name from the national bird of New Zealand. The fruit crop thrived in New Zealand whereas it had failed in the US and UK. Kiwi, being also a nickname for New Zealanders, the newly named kiwifruit took off in popularity. And now, you find it in fruit salads everywhere. Though you may be familiar with the green interior kiwi, the lesser known gold kiwi is, you guessed it, gold inside — and tastes a bit like honey! How do you cut fancy kiwi fruit? 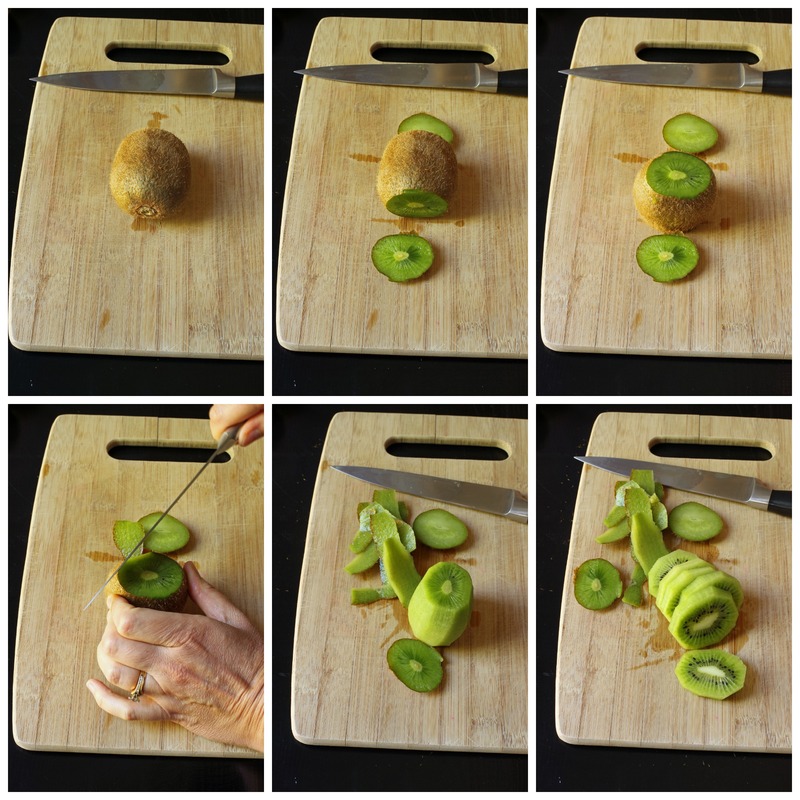 Cutting a kiwi is pretty simple. After you wash the skin with a vinegar and water rinse, place the kiwi on a cutting board. Cut off the stem and blossom ends so you have a rounded cylinder shape. Stand the kiwi on one flat end and then cut away the skin in arced cuts, keeping as close to the skin as possible so that you don’t waste fruit. Alternatively you can cut the kiwi in your hand with a paring knife, slowly and carefully trimming away the fuzzy skin. 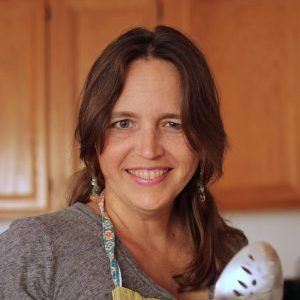 Can you cut up kiwi ahead of time? You can cut up a kiwi 1 to 2 days in advance. Depending on how ripe it is when you cut it, it may last longer. Be sure to store it in a covered container in the refrigerator. Can you eat the skin of the kiwi? The skin of a kiwi is edible! Fuzzy and weird, but not dangerous. Just be sure to wash it with vinegar and water to kill any surface bacteria. Can you eat the white part of the kiwi? The entire kiwi is edible including the white core and black seeds. Sometimes that core can have a slightly woody texture, depending on their variety. You can trim it away if you like. How do you choose kiwi? How do you store kiwi? Store whole kiwi fruit for up to 3 weeks in the refrigerator. When they are ripe, they will give slightly when you squeeze them gently. Can you freeze kiwi fruit? Yes! If you find a great deal on kiwi or have more than you can eat in a short amount of time, you can freeze it. 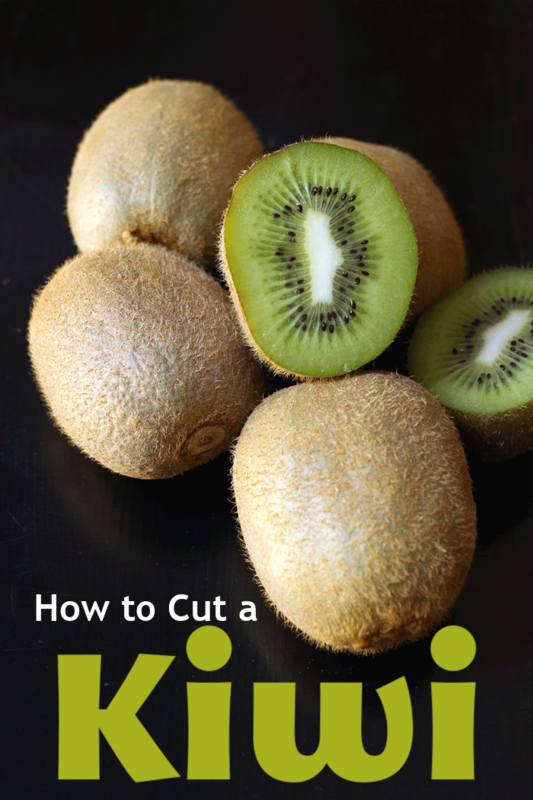 Simply peel and cut kiwi into slices. Pack into airtight containers and freeze. The thawed kiwi will have a softer texture than fresh, making it great for blending into smoothies. 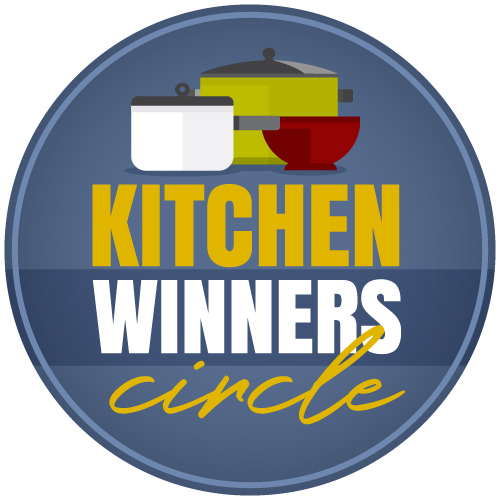 What kitchen tools do you need to cut kiwi? How do you serve kiwi? 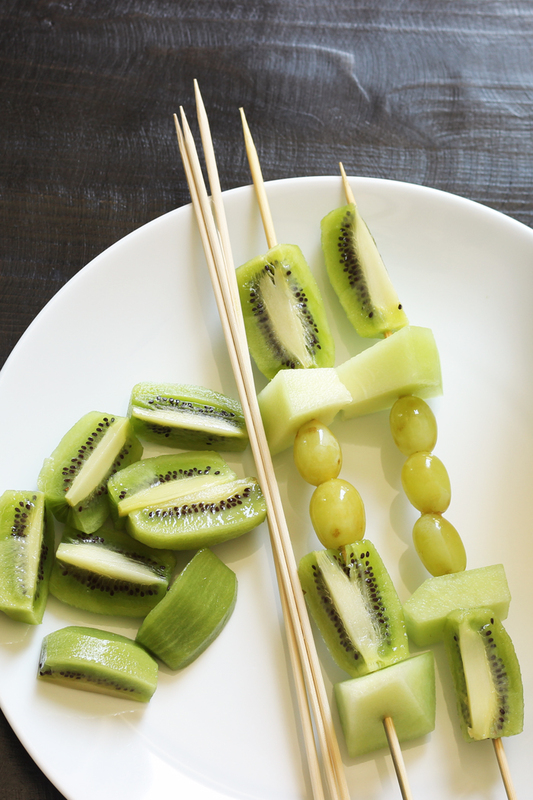 There are several ways you can serve kiwi. My kids love to just cut them in half and dig out the insides with a spoon. 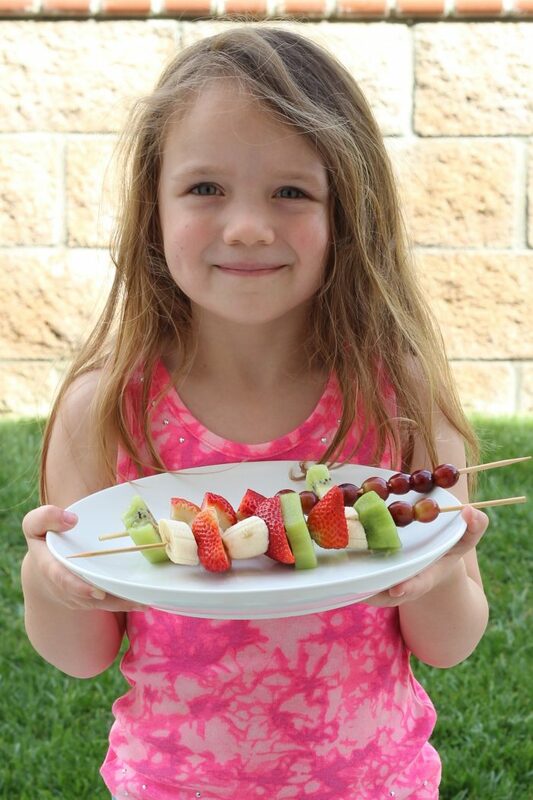 You can also slice the fruit to put in fruit trays alongside cut melon and pineapple or chop it to add to salads or add them to fruit kabobs. Kiwi is delicious added to smoothies, and Kiwi Jam is amazing! Rinse the outside of the kiwi with water and vinegar. Even though you aren’t going to eat the peel, you are going to cut through it, thereby possibly exposing the inner flesh to bacteria and other germs. Cut off the two ends and stand the kiwi on one end on the cutting board. With a chef’s knife, cut away the fuzzy skin, curving your cuts between the skin and flesh, thusly. Proceed around the sides of the kiwi until all the skin is removed. You may want to stand it on the opposite end to get little bits you might have missed from that side. Once all the skin is removed, you can cut the kiwi into rounds or quarters. 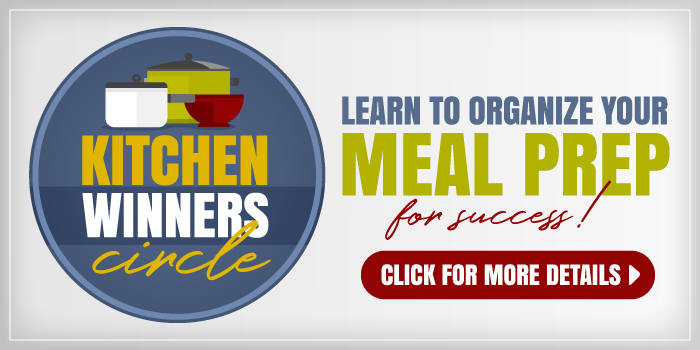 Store in a covered container in the fridge until ready to serve, up to 2 days.